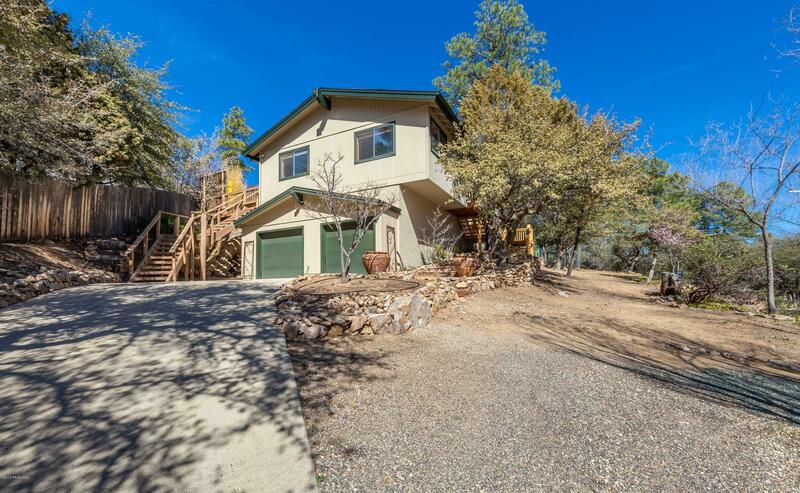 All Mountain Village homes currently listed for sale in Prescott as of 04/22/2019 are shown below. You can change the search criteria at any time by pressing the 'Change Search' button below. "An updated and beautiful home in the pines,located in wonderful Mountain Village! This house has been remodeled with new, synthetic concrete flooring throughout, new front stairway installed, new windows, stainless appliances, custom cabinets, granite counter-tops, new fixtures and ceiling fans, new paint and skylights. Like new - but with all the charm and character you will love! The wood burning fireplace has been totally refurbished. Plus, vaulted beamed ceilings, , custom wood trim, a "